interventions into what is going on. For one thing, we need to look at our internal structures within the association and change the things that have meant that our members are disenchanted. They feel they don’t have a voice, they feel they cannot participate in the affairs of the association at the national level. We must revisit the exclusion of observers from NEC. I for one will not bar observers from NEC. And the reason is simple: it is a generally unpopular decision and I for one will take steps to overturn it. We are not a secret society. Attendance at NEC meetings is an opportunity for members across the country to socialize among themselves, to network among themselves. And those who are not NEC members, who attend with their friends who are NEC members, use it as an opportunity to decide to become more involved in the administration and management of their branches, either by contesting election at branch level or at the national level. It is a breeding ground for our next set of leaders. Instructively, the presidency of the NBA is not a one-man affair; that is why the president has many other National Officers to support him. That is why the president has three vice president, has a Treasurer, has a Financial Secretary, has a Welfare Secretary, has a Legal Adviser. And if everybody is allowed to do their jobs, then it is not a stressful exercise at all. The problems that we are actually seeing in the Bar association today is that people are trying to put all the powers of all the officers in one place. That is not what it is supposed to be. So I don’t see it as more stressful than running my law firm here where we have 60 people – 25 administrative staff and about 40-something lawyers in three different offices, one of which is even outside of Nigeria. And I was the Managing Partner, and I ran it successfully from the day we started for four years till 2008. So I don’t see any difference. It’s a question of having structures in place and having procedures in place. Once the structures are in place, then the staff know this is the process. If it is a disciplinary complaint, it goes to the administrative staff in the secretariat; they review it; it then goes to the Legal Adviser who looks at it and says, ok fine, take the next step. If there are procedures in place, when the disciplinary complaint comes to the secretariat, the staff know what the procedure is. So the procedures are there, the structures are there, the process runs seamlessly. For instance, let us just take our national secretariat. We have a national secretariat that does not have an effective staff manual. Now, an effective Staff Manual covers all the things that can happen and what you should do to respond so that whoever is in-charge of Bar Services for instance will know that if there is an enquiry in respect of a particular issue, does that enquiry go to the Legal Adviser if it is a legal enquiry? Or does it go to the head of Disciplinary Committee if it is a disciplinary enquiry? Or does it go to the head of the Membership department if it is an enquiry that involves membership? So those are the structures and procedures that we should put in place. We don’t have that type of comprehensive manual. Those are the type of structures and procedures that I am talking about. When I was the Chair of the Conference Planning Committee 2009, we planned the Lagos Conference. In 2010 we planned the Kaduna Conference. We sat down and we wrote a Conference Planning Manual which indicated, by this date, this is what you need to have done; these are the letters you ought to have sent out. And we have precedents of the letters inviting the Guest speaker, inviting Session chairmen. By each date, for each month, we knew what we were supposed to do. Those are the type of processes that I am talking about. It is my view that all lawyers must embrace an ‘international’ outlook as the world has become a global village. I believe that the experiences I have gained at the international level – especially at the International Bar Association (IBA) - will be useful to the developmental agenda of my own Bar association. We must as a professional body think globally and act locally. That is the only way we can raise our standards, be of good standing in the comity of our professional colleagues, and be just as relevant on issues affecting us and our nation internationally and at the domestic level. I will not make empty pledges merely to win an election. In my previous record of service to the Association I fulfilled the pledges I made when seeking the mandate. As National Treasurer, I ensured that accounts of the Association were audited and presented to NEC (a tradition that continues till date), and that a statement of the current income and expenditure of the Association was presented to NEC at each meeting. As 1st Vice President, I ensured that the Stamp and Seal Project was established. That it is non-operational till date has nothing to do with failure to fulfill any pledge made. Again, in the forthcoming elections, I am putting myself out to be held accountable for any pledge that I make. I shall keep my word! That is what our noble profession enjoins us to do. It is noteworthy that some of the issues I raised in 2006 when I contested the presidency of the NBA have not been resolved till date. I said then - as I say now - that towards its members the Association has both a representative and a regulatory role to play. The Association is regulating its members through the collection of practising fees and disciplinary procedures, but has still not fulfilled its representative role of providing membership benefits or even improving on and protecting the livelihood of the average lawyer. The Association must be relevant to its members. If it fails to do so, if we as an Association do not project that relevance, then the Association is certain to become increasingly irrelevant to our professional well-being or even the nation at large. The assertion that the NBA is not ripe for a female president is not borne out by facts and current trends. It is mere propaganda. If the Commonwealth Lawyers Association - of which Nigerian lawyers are a substantial part - can elect a Nigerian woman as President and she distinguished herself, I cannot see the point in that assertion. 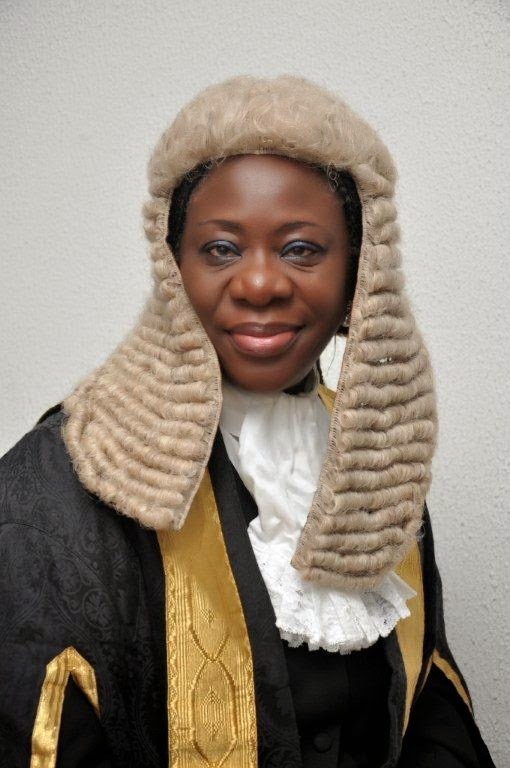 In fact, there is no better time than now to elect a female NBA President to replicate at the Bar the giant strides done by the first female Chief Justice of Nigeria at the Bench. If we are all agreed that things have to be done differently, then I can tell you without equivocation that the time to elect a female NBA President is now! It’s an idea whose time has come! The best man for the job is a woman. That’s the refrain I hear everywhere I go. CONFUSED ABOUT TINTED CAR PERMIT?